English lyric poet, who eloped with and later married Mary Godwin. He was a leading light of the Romantic movement and a lifelong atheist. His early poems include Queen Mab (1813). He later wrote tragedies such as The Cenci (1818), lyrical poems such as 'Ode to the West Wind' (1819) and lyric dramas such as Prometheus Unbound (1820). Oh, lift me as a wave, a leaf, a cloud! I fall upon the thorns of life! I bleed!  1819 'Ode to theWestWind', l.53-4.  1820 Prometheus Unbound, act 2, sc.4, l.47-8. GOVERNMENT has no rights; it is a delegation from several individuals for the purpose of securing their own. It is therefore just, only so far as it exists by their consent, useful only so far as it operates to their well-being.  "Declaration of Rights" (1812), article 1. What is Freedom? ye can tell That which slavery is, too well For its very name has grown To an echo of your own. 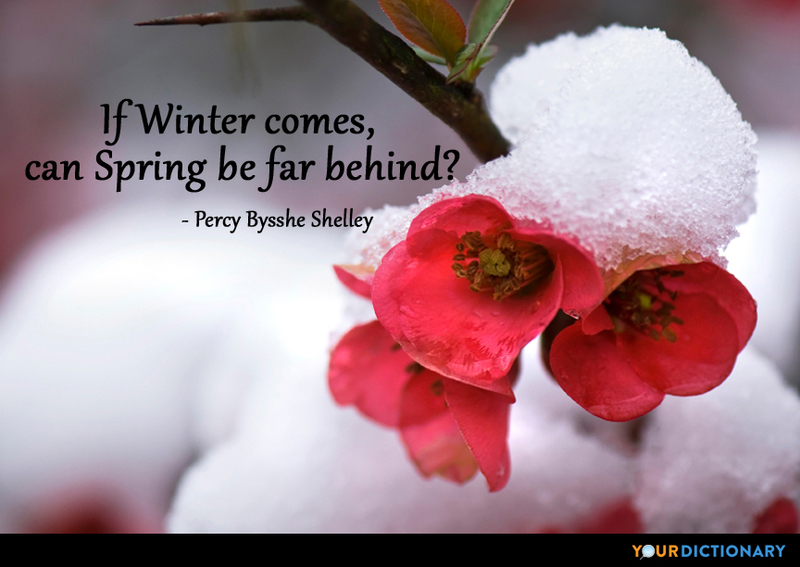  Percy Bysshe Shelley, Queen Mab (1813), Part IV. Ere Babylon was dust, The Magus Zoroaster, my dead child, Met his own image walking in the garden, That apparition, sole of men, he saw.  1820 Prometheus Unbound, act1, l.191-4.  1820 'The Sensitive Plant', pt.1, l.37-8. Poetry is a record of the best and happiest moments of the happiest and best minds. The awful shadow of some unseen Power Floats, tho' unseen, amongst us. We must prove design before we can infer a designer.  Alternate: Design must be proved before a designer can be inferred. With hue like that when some great painter dips His pencil in the gloom of earthquake and eclipse.  Canto V, st. 23. Shelley, whose talents would otherwise have made him eligible, was an outcast from the first ... They always knew where to draw the line and they drew it, emphatically, at Shelley. I was informed that Byron could be forgiven because, though he had sinned, he had been led into sin by the unfortunate circumstances of his youth, and had always been haunted by remorse, but that for Shelley's moral character there was nothing to be said since he acted on principle and therefore he could not be worth reading.  Bertrand Russell Legitimacy versus industrialism, 1814-1848, Unwin, 1965.  The Revolt of Islam, Canto V, Stanza 23. In Hoyt's New Cyclopedia Of Practical Quotations (1922), p. 576-77.